I told him I would see if I could catch it during Christmas break. It turned out sooner than that. 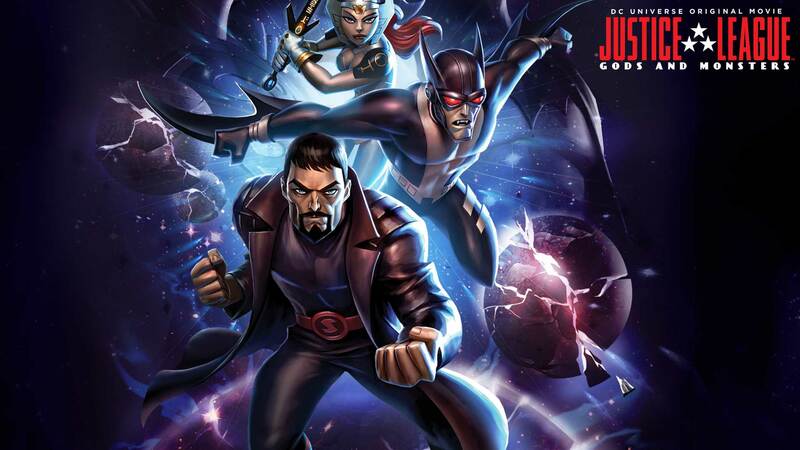 I found Justice League: Gods and Monsters on Amazon Prime and I rented a copy of it. Ken was absolutely correct. It was a very enjoyable take on these classic characters. Superman turns out to be the son of General Zod and then gets raised on Earth after Krypton’s destruction by a Latino migrant family. Batman (not Bruce Wayne, by the way- instead Dr. Kirk Langstrom who in DC proper turned into Man-Bat) is a living vampire (who reminded me a lot of Morbius from Marvel) and Wonder Woman (who is not Diana) turns out to be the Jack Kirby created character Bekka from the Fourth World. Interestingly enough, we never find out word one on Diana or Bruce Wayne in this alternate dimension. Well-connected scientists (all known characters from the DC Universe) are beginning to be murdered, and the Justice League is being framed for it. The Justice League is a much more brutal, violent group, who step over the line and kill enemies without remorse so it does not take a giant leap for people to believe that they have finally gone rogue. The trio must discover who is behind the murders of the scientists before the US government comes for them. I am not a huge fan of Elseworlds type tales, but this is very well done. If you get past the fact that these heroes are nothing like what you know of them, there is a solid story with a well-done reveal at the end. It was fun hearing certain names (Ray Palmer, Silas Stone) and knowing their connection to the DC Comics Universe and seeing how they are in this dimension. I wish some of these DC animated movies would be able to receive a bigger budget so they could have better animation (which here is the typical, DC cartoon animation) because the stories here rival anything DC does. This is better than most of the live action DC films and something like this could be a huge hit as an animated feature. Perhaps the success of Spider-man: Into the Spider-verse will open some doors for this type of film receiving more backing at WB. I don’t know if this would have cracked the top 10 list I put together last week (maybe), but it would certainly have been mentioned in the honorable mentions if it wasn’t. Gods and Monsters was a fun ride and have some different adaptations of these icons. Thanks for the recommendation, Ken.